It is now more important than ever that you run a vehicle history report on a used car! Hurricane Harvey is on track to be the costliest storm ever in the U.S. as Cox Automotive estimated the other day that 500,000 vehicles may end up being flooded as a result of Hurricane Harvey, which would be largest number of storm flooded vehicles we have ever seen. Back in 2001 we warned you of the 50,000 cars flooded by Tropical Storm Allison, which also displaced 30,000 residents, making it the only non-hurricane named storm in history to have its name retired. Then Hurricane Katrina flooded over 500,000 cars in 2005 and Hurricane Sandy flooded 250,000 cars in 2012. Harvey will undoubtedly surpass all the others, as Houston has more vehicles per household than other areas, and so much of Harris County is in a flood zone. The market will surely be flooded literally, with Hurricane Harvey damaged cars. We saw AutoNation Chairman and CEO Mike Jackson on CNBC’s Squawk Box the other day and he stated that all 17 of the Houston area AutoNation stores were shut down from flooding, and they would have to scrap thousands of cars. 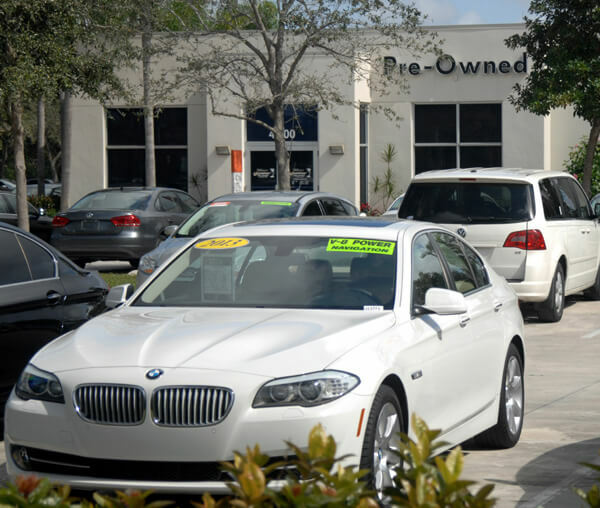 AutoNation is planning to replenish their Houston inventories with vehicles from other area dealerships. The big scam that we warned you years ago with Allison and Katrina was that thousands of vehicles that were flooded in these storms had been brought out to other states to dry out and later inserted back into the used car market stream and sold to unsuspecting buyers as good cars when their titles should have remained branded as flood damaged or total losses. Whenever a major disaster of biblical proportions like this strikes our country, victims are often kicked when they are down by storm chaser scammers who capitalize off other people's losses and create new victims of the storm long after the storm has passed and is barely a memory for most people. Whenever there are significant insurance claims on a car, the title is supposed to be branded as flooded in the case of a flood, or it can be branded as fire damaged, or junked, and if it was sold at a salvage auction then the title must indicate it was salvaged. The problem is that some states are very lax in regard to titles and it is not too hard to bring in cars that might be branded as flooded or junked from another state then have their title status laundered back to a regular old used car with the branding on the title effectively removed or laundered because it is starting off with a clean slate in a new state. Once this is done, the cars can be sold anywhere in any other state without the title being branded because it is now listed as a regular car with no branded title. We have stressed so hard for decades now that one of the best tools you have as a buyer of used cars is the vehicle history report, which is updated based on the VIN on each car, not on the title. As the cars have work done at repair shops, or they get sold, or they undergo inspection, the vehicle history tied to that Vehicle Identification Number is updated. Meanwhile the scammers try to trick the state DMVs by laundering the title of a storm damaged vehicle, but outside of the scammer control the history of what happened to that car is preserved, the scammers cannot make it go away. If you know where to look to get these history reports you can dodge a huge bullet. Your state's title for the car reflects only the current status; it is not an exhaustive history of your car. This is the core of the strategy of storm chaser scammers and they are trying to change the current status of that junked or flooded car back to a regular used car. Most used car buyers are completely oblivious to vehicle titles anyway and often buy cars without the title, so it is not like they are doing much research into the merchantability of their vehicle title to begin with. Others may look at the title and see that it is not branded and get fooled into a false sense of security thinking that the car is fine when it really is not. Because the history report companies keep a cumulative history on each car based on the Vehicle Identification Number, the history does not ever get wiped out like the status of a vehicle title, because the cumulative history still remains in their databases and will show on the report. It is like a criminal lying on a job interview that they have never been arrested, but you can perform a public search of their name on the county court web site and see all their arrests and traffic tickets. You could do everything right and once in a blue moon still fall through the cracks, because there is no 100% guarantee that a car which was flooded will always have it reflected in the history report. This is why you must also have the car inspected on a lift by your trusted mechanic. The used car you are about to buy might not have had its damage documented, no police report, maybe the previous owner of this flooded car simply sold it to someone and there was no insurance claim or repair shop visits to add to the vehicle report. You might also be buying this flooded used car soon after the disaster and it was too soon for any insurance claims or derogatory status indicators to find their way onto the report to warn you in time. Also some unscrupulous people can buy these damaged cars at fire sale prices, and quietly transport them out of the state before the title can be updated and branded as flooded. Now it is just a regular car titled in another state. The used car I am buying does not have a Texas title, am I still OK? No you cannot guarantee that you'll be safe just because the car you are about to buy is from Arizona and not Texas. The first step in laundering a vehicle's title is to use the smoke and mirrors trick of getting that flood damaged car out of Texas and getting it registered quickly in another state to give the title a clean slate, and now it’s an Arizona car, not a Texas car anymore. Don't fall into this trap that so many others have fallen into. Unsuspecting buyers will only look at what state the car is from without knowing the true chain of custody and history of where it originally came from. Most educated car buyers would not knowingly buy a used car from Harris County Texas right now. If you don't perform the 2 above steps do not buy that used car or you will fail guaranteed. We keep saying this over and over and hopefully you'll listen. The car buyers who don't perform these 2 steps end up being victims. We have received way too many emails from people over the years who bought a used lemon simply because they failed to perform the most basic check on the vehicle first. The car buying landscape is littered with the corpses of car buyers who raked over the coals by failing to protect themselves. Please heed our warnings and don't be one of those foolish car buyers who spends more time in Costco analyzing the steak they are about to buy, then they do on a $20,000 used car. We have heard the same story over and over like a broken record of people buying a used car then months later when they bring it in for service they are informed by the repair shop that they bought a car with previous accident damage. The repair shops spot it right away as soon as they put the car up on the lift. They then run a vehicle history report on the car and it confirms the accident or flood damage, then they turn to us asking what they can do and who can they sue. Many car buyers seem to be doing things backwards, buying the car first then performing the historical research on the car after they buy it and are stuck with it. Buying a used car takes time and patience and it should never be rushed. So why didn't they perform these 2 no brainer sanity checks before buying the vehicle? They get lazy or complacent or think they don't need to spend the money or time to protect themselves. They can't imagine a world of unreal amounts of misery and frustration awaiting them in this car that they want to buy, so they fail to safeguard themselves from a world of misery which they can't even fathom. But they hopefully won't make that same mistake ever again. Also, don't just have the mechanic inspect the car on the ground; it must be put up on a lift so they can step underneath the car to inspect underside for rust, bent frame members, damaged suspension components and leaks. They will usually look for under carriage damage left by accidents, very easy to spot because body shops typically repair only what you see from the outside of the car to put a little lipstick on a pig. People think that used car dealers just acquire their inventory from buyers trading in their old car to buy a new car. The truth is car dealers typically buy a lot of their used car inventory at wholesale car auctions such as Manheim which are only open to licensed car dealers, and they bid on cars that are mostly coming off 3 year leases. The problem is the car dealerships cannot guarantee for you that they didn't buy a flooded car at the auto auction. There is no way to put the car on a lift, so the dealer's buyers have to be savvy and run history reports on the vehicle's VIN and they try to look at the car on the ground level to check for any evidence of a previous wreck or flood which is not always easy. They can only accurately perform one of our 2 recommended filters. This should provide you with enough armor to protect yourself from any flooded cars no matter what storm caused it, and remember you can't always trust the title to tell you what state the car originally came from. Let us know what you find out there.